Quote: Most YouTube users don't associate the site with blockbuster movies, probably, even though it is possible to rent movies on the site just as it is possible to do the same on Amazon, Google Play, or iTunes. Most full-length movies on the site seem to have been uploaded by users of the site and not rights holders on the other hand, and they are removed regularly because of that. 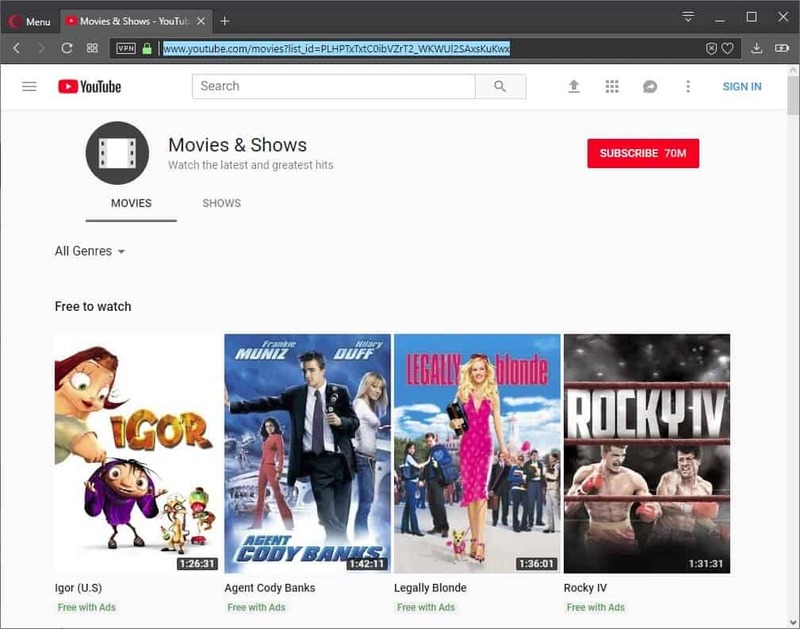 YouTube users from the United States, and those using a VPN, have access to about 100 blockbuster films that they may watch on YouTube for free. The movies include popular titles such as Rocky I to V, the Terminator, Four Weddings and a Funeral, or Hackers, but also titles that you may have never heard about, e.g. Dino King, Main Street, or Memories of the Sword.